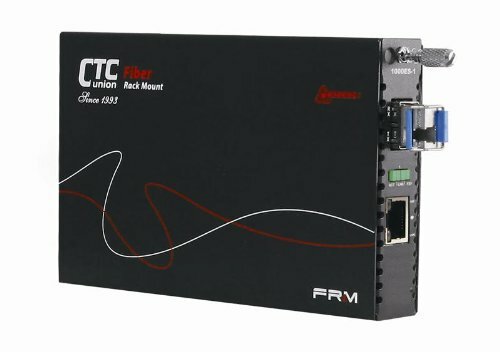 The FRM220-1000MS-W20A Gigabit Ethernet media converter is currently made of two different items, the FRM220-1000MS web managed converter and the single strand BiDi A type Tx:1310/Rx:1550nm SFP optical module. The converter can operate on 9/125 singlemode fiber. Maximum range is 20Km over single-mode single-strand 9/125um fiber. The FRM220-1000MS-W20A Gigabit converter can accept own IP address and can be managed through direct web browser access. Also, when installed in larger higher density FRM220-CH20 or FRM220-CH08 chassis the whole chassis can be managed with a single IP address from the NMC card. Please note that because FRM220-1000MS-W20A is a single strand BiDi media converter it must always be paired with a B type converter like the FRM220-1000MS-W20B in order to have an operational link.